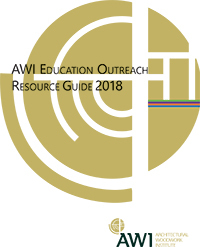 Consult the updated AWI Education Outreach Resource Guide for details about how to tap into this AWI National supported program for AWI chapters. Please review and complete the Memorandum of Understanding (MOU) to secure an AWI Education Outreach Program. AWI National education programs are available for hosting by interested chapters. To schedule an Education Outreach session, contact AWI 571-323-3636.